Yes!! You have a voice. I want to encourage you to use it for good. Use your beautiful, powerful voice and send love. In person, through social media...send love. Send kindness. Stand up for yourself, others, and what you believe in! Be conscious of your actions today and every day. Know your worth, believe in yourself, and use your voice! Stay encouraged and stay prayerful. I believe in your victory! Sometimes we might fall into the trap of blame. If something isn't going "right" in our lives, we might put the blame on someone else or something else. Sometimes we whine or complain or tell ourselves that the reason things seem bad is because of so and so...or if only we had more resources or more money or more time then we could do greater things. I want to encourage you (and myself) to realize that if you're looking for a change in your life, it starts with you. You are already well equipped to change your situation. Stop pointing and blaming others and start looking within yourself to see how you can bring about the change you seek in your life. It begins with you. Pray about it. Trust in God, His timing, and yourself. Stay encouraged! I believe in your victory! Yep. Sometimes things may seem like they're not going in your favor. Someone may upset you. Something or someone at work might try to bring you down. Something bad might happen at home or with your friends. 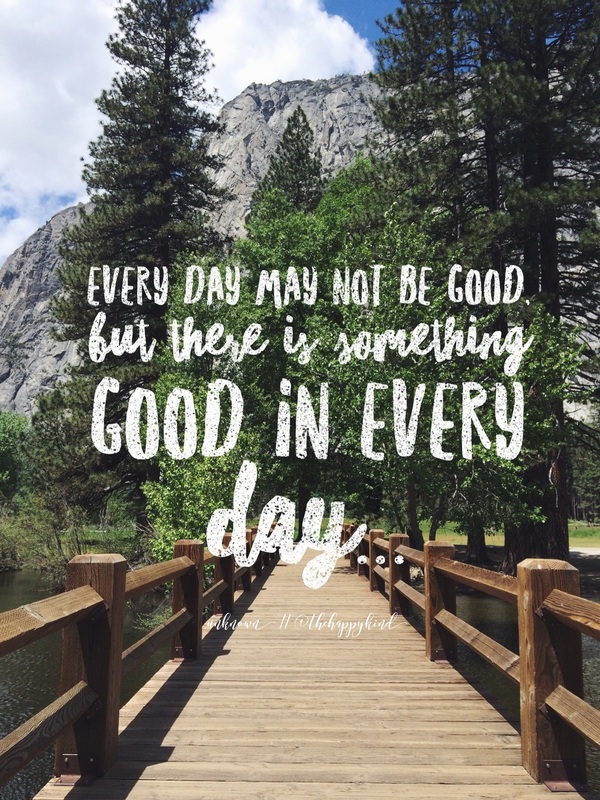 But I want to encourage you (and myself) to realize that no matter what happens...there is good in your day. It's just a matter of acknowledging it when it appears and choosing to focus more on that than the bad. Don't fall into frustration or anger or bitterness. Try to rise above it. It can be hard or frustrating at times, but what a beautiful life we get to live, especially when we choose to allow the good to outweigh the bad. Let's try to do that a little more. Stay encouraged and stay prayerful. I believe in our victory!